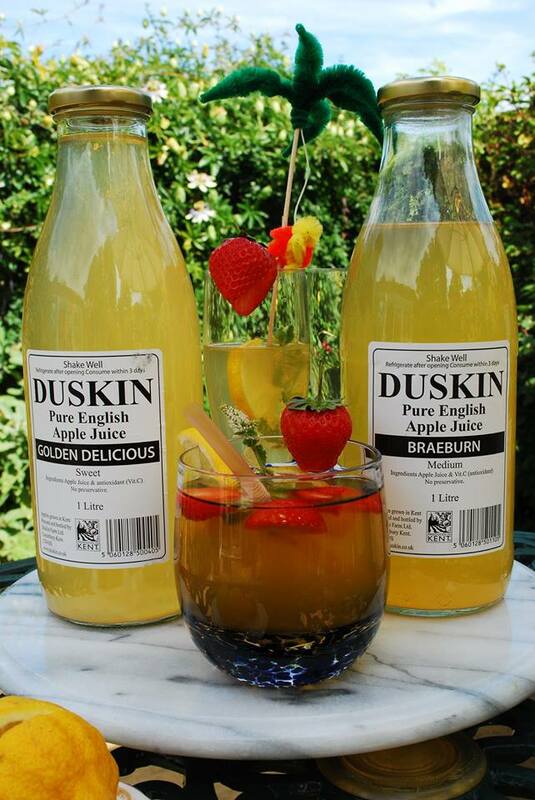 A lovely sunny day is just right for a glass or two of Duskin Apple Juice with a slice of lemon, sprig or two of mint, and a strawberry! But if it is more of a Traditional English summer... hot Duskin Apple Juice and honey will help sooth the coughs and colds. Gently warm your Duskin Apple Juice in a saucepan or microwave, taking care not to boil it, then pour into a mug and stir in a teaspoon or so of honey. I prefer hot Bramley and honey, but use whichever variety you like.